Many of you know that we are having an online book drive. The book drive is helping to raise money for our trip to New York to visit with Dr. Bernstein, and it’s helping to cover Charla’s on going medical expenses. Mrs. Doreen Sheinman heard about what we are doing and she was kind enough to speak with the principal at the school where she serves called Temple Israel. The response from the students, staff, and family members was heartfelt and overwhelming!!! 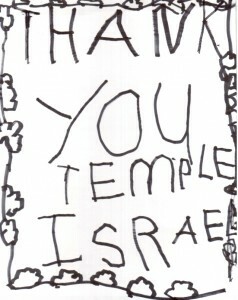 Temple Israel has donated boxes of books and we are very grateful… (smile). 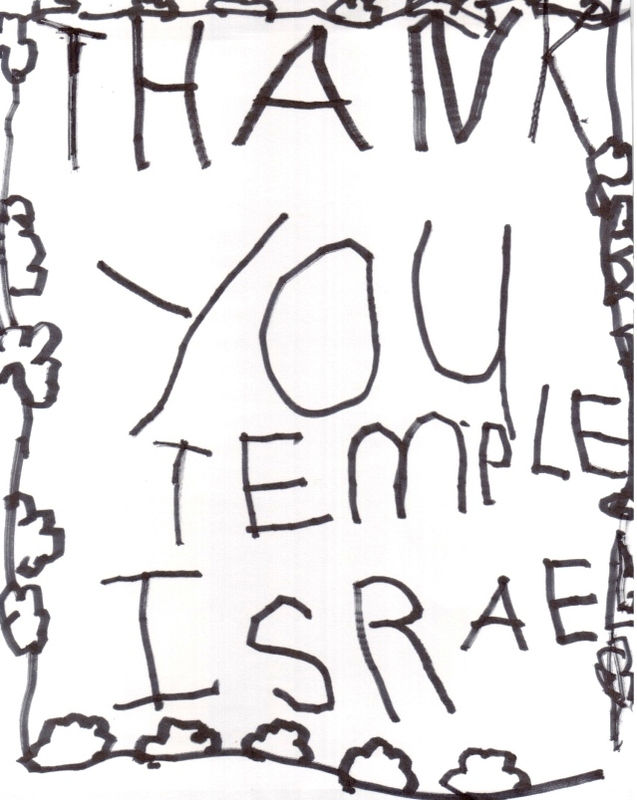 We asked Charla if she would create a thank you card to show her and our family’s appreciation for all that Temple Israel has done to support us during this difficult time… take a look at the thank you card that charla has made… (smile).